Orange + lemon poppy seed muffins are on the menu today, and hooray for that because they are the tastiest muffins I've ever eaten. Seriously. 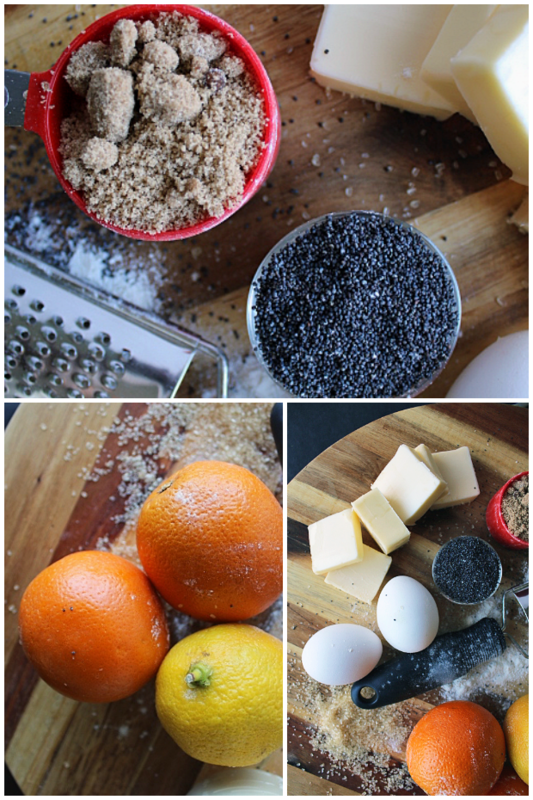 If you have a couple lemons and oranges kicking around the fruit bowl, all you need to add to those is a little bit of poppy seed and some basic pantry ingredients and you're halfway to citrus heaven. Can we talk about poppy seeds for a minute? 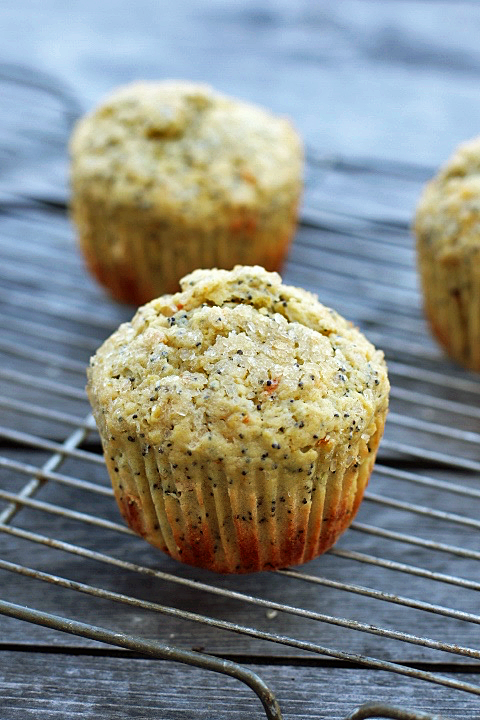 I've always loved a good poppy seed muffin, I mean really, who doesn't? But Eastern Europeans LOVE THEM some poppy. I don't know what it is about poppy seeds, but my husband's mother, our Babcia, sends boxes upon boxes of poppy seeds after a visit to Poland. I'm not really sure what we're supposed to do with all of them, but I really truly, actually have about 5 pounds of poppy seeds sitting in my kitchen cupboards. So if any of you are jonesing for some, you know where to find me. 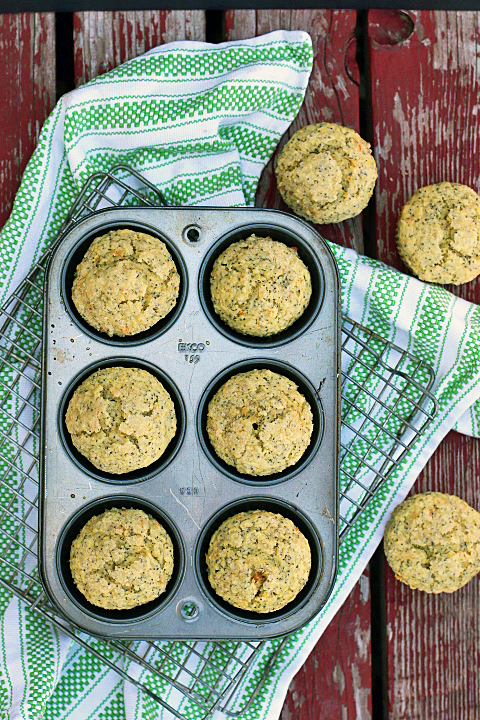 I'm down to 2 tablespoons shy of 5 pounds after making these muffins, so I have plenty left for you. Anywho. These muffins are seriously heaven. They're dense + moist and using fresh oranges and lemons for juice and a little bit of zest takes them over the edge to bliss-dom. You can drizzle a little bit of confectioner sugar frosting on top, if you're so inclined, but they were sweet enough for me as they are. Yum. Go make some muffins. They're practically dessert, but with all the healthy vitamins from the lemons and oranges no one will be the wiser. Except you. And me. But I'm not telling. Enjoy! 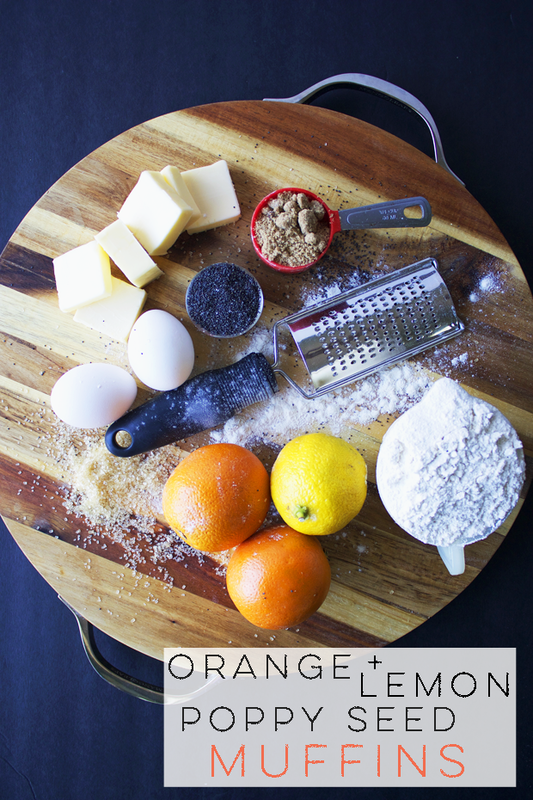 These orange + lemon citrus muffins are so delicious! A Tasty kick of citrus mixed with a dense, moist muffin for a sneaky little dessert breakfast. I love that kind of breakfast. Preheat oven to 425F degrees. Spray muffin pan with nonstick spray or use cupcake liners to bake. In a large bowl, whisk the flour, white granulated sugar, brown sugar, poppy seeds, baking powder, baking soda, and salt together until completely mixed. 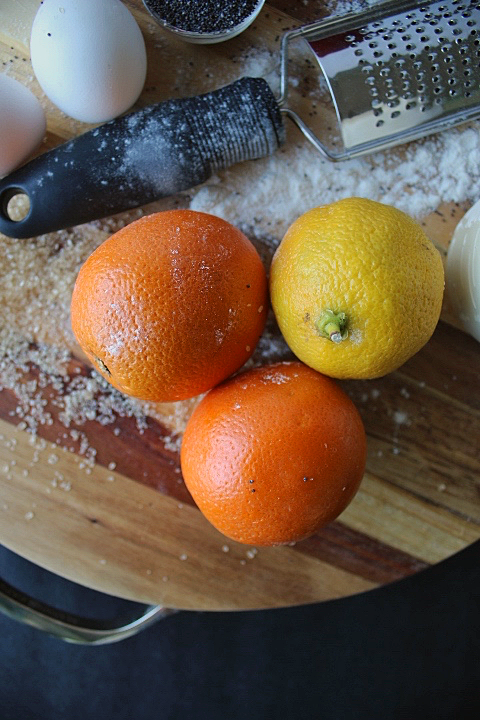 In a medium bowl whisk the melted butter, lemon juice, lemon zest, juice of one orange and orange zest together until combined. Add eggs, one at a time, whisking after each one. Add the yogurt and vanilla + stir. Pour the wet ingredients into the dry ingredients and gently mix together until completely mixed, but the batter will be lumpy, so don't over-mix. Spoon batter into the tins, filling them all the way to the top. Sprinkle each with coarse sugar. Bake for 5 minutes at 425F. Then reduce oven temperature to 375F and continue to bake for 10-13 minutes more until tops are golden and a toothpick comes out clean.